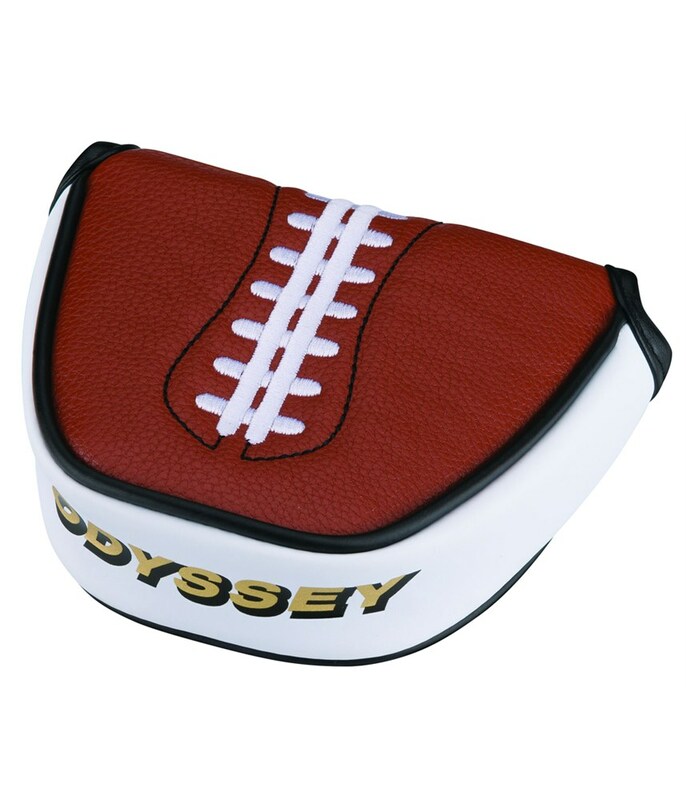 The Odyssey Football Blade Putter Headcover is a great way to show that you are an American football fan as well well as protect the face of the most important golf club in your golf bag. 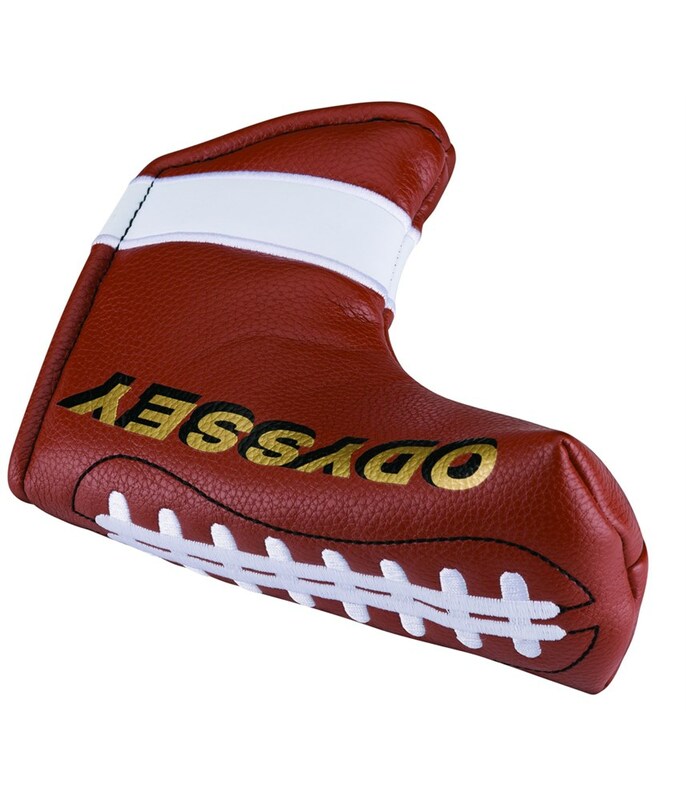 This putter cover will fit all bladed style putters and also features a magnetic closure to ensure that the putter cover will not fall off while playing golf. 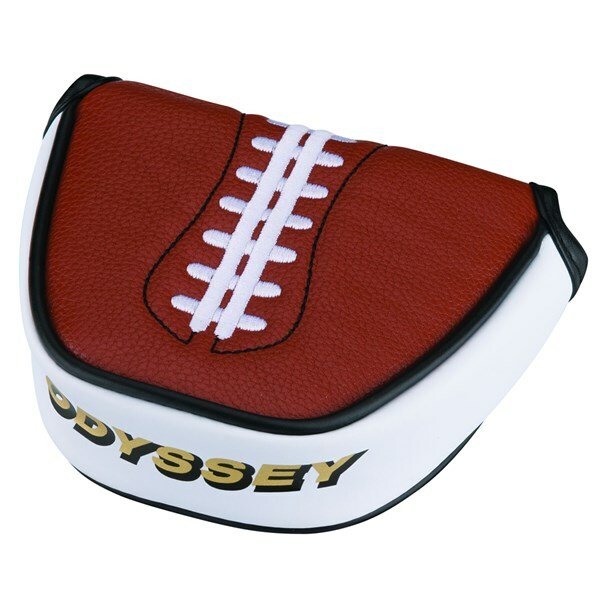 The Odyssey Football Mallet Putter Headcover will help protect the face of the most important club in your golf bag and show that you are a fan of American football. 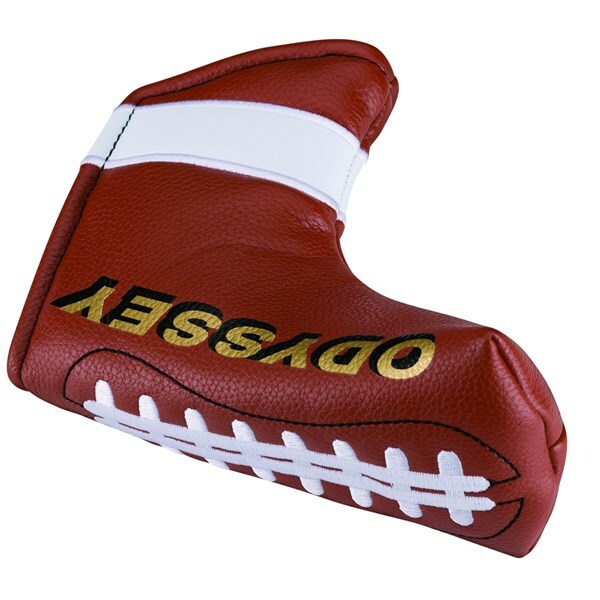 This mallet style putter headcover will fit the majority of larger head style putter with the exception of centre shafted models and features a magnetic closure that will make the headcover sit snug and safely onto the head of your putter.